Welcome to our helpful guide for Japan. Should you be looking to travel, live, relocate or do business in the land of the rising sun, we will give you a helpful head start on understanding the country and its cultures. Japan is an island country in East Asia. Located in the Pacific Ocean, it lies to the east of the Sea of Japan, the East China Sea, China, Korea and Russia, stretching from the Sea of Okhotsk in the north to the East China Sea and Taiwan in the south. 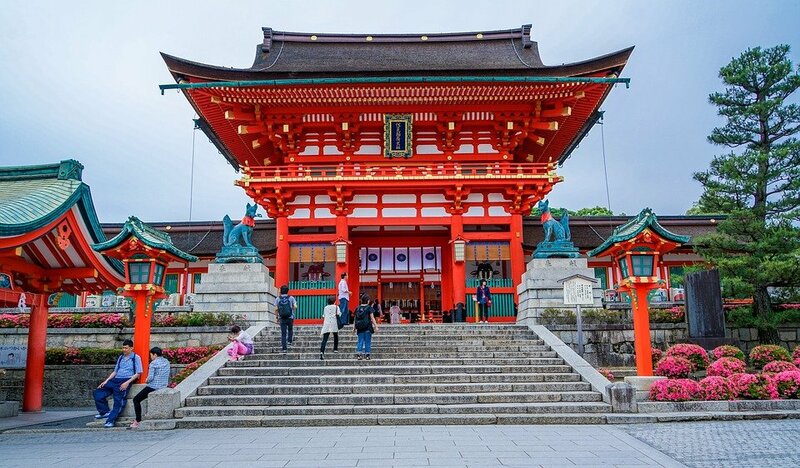 Major Religion: Shinto and Buddhism are Japan’s two major religions. Climate: Japan has four seasons which are categorized by cold winters and hot summers (up to 40 degrees Celsius). Denominations: Notes – 1,000 yen, 2,000 yen (very rare), 5,000 yen and 10,000 yen denominations. Coins: Coins come in 1 yen, 5 yen, 10 yen, 50 yen, 100 yen and 500 yen denominations. Japan has a fascinating and multifaceted culture; on the one hand it is immersed in the deepest of traditions dating back thousands of years, and on the other it is a society in a continual state of rapid change, with constantly shifting trends and fashions and technological development that perpetually tests and pushes boundaries. This is part of what makes it such a fascinating country to visit. If you are looking for something different you are sure to find it in Japan! There are typically 2 types of clothing which the Japanese wear. While the traditional ethnic garments of Japan like kimonos are still in use, they are mainly worn for ceremonies and special events like funerals and festivals. More recently, western clothing is worn often in day-to-day life. While the westernisation of fashions has continued at a rapid pace, the kimono lives on in Japanese culture. Japanese is spoken by about 125 million speakers. Not much is known of the language’s history, or even when it first appeared in Japan; substantial texts did not appear until the 8th century. Japanese has no genetic relationship with Chinese, however it makes extensive use of Chinese characters (kanji) and a large portion of its vocabulary is borrowed from the Chinese language. Japanese is a script language and along with the adopted “kanji” Chinese characters, the main scripts are “hiragana” and “katakana”. Latin script is used in a limited fashion, for example it’s used in imported acronyms. The numerical system uses mainly Arabic numerals along with Chinese numerals. Several thousand kanji characters are in regular use. Each has a range of meanings and most of them have more than one pronunciation. Which one to use very much depends on context. The total number of Kanji is over 50,000, although few, if any, native speakers know anywhere near this number. Manners are very important amongst the Japanese. You should make sure you are aware of the basic rules. In Japan, people greet each other by bowing. The bow ranges from a small nod of the head (casual and informal) to a deep bend at the waist (indicating respect). A bow of the head from a foreigner is usually sufficient; most Japanese people don’t expect foreigners to know the bowing rules. Shaking hands in Japan is uncommon. There are strict rules regarding indoor manners in Japan which are related to footwear. Shoes are removed not only in the home, but also in many traditional ryokan (Japanese style inns), some restaurants, temples, castles and other historic buildings. The border is not the door itself, but the entrance area which is called “genkan”, and shoes should be always pointed towards the door rather than into the building. When dining out, many restaurants have a mixture of both Western style tables and chairs as well as low traditional tables, where it’s usual to sit on a pillow (this type of dining is referred to as “zashiki”). Chopsticks are used to eat most kinds of Japanese food and these should be held towards their end, not in the middle or front third. It’s not customary to tip in Japan. Instead it’s polite to say “gochisosama deshita” (“thank you for the meal”) when leaving. Gift giving is a common part of Japanese culture and various types of gifts are given on different occasions. Gifts in sets of 4 are usually avoided, as the word for “four” is pronounced the same as the word for “death”. Gift giving on birthdays and Christmas was not previously a Japanese tradition, however due to the strong influence from the West, many families and friends do now exchange gifts on these occasions. Shinto is as old as the Japanese culture, while Buddhism was imported from the mainland in the 6th century. Since then, the two religions have been co-existing relatively harmoniously and have even complemented each other to a certain degree. Religion does not play a big role in the everyday life of most Japanese people today. The average person typically follows the religious rituals at ceremonies like births, weddings and funerals. They may visit a shrine or temple at New Year and participate at local festivals (matsuri), most of which have a religious background. Japanese business etiquette is not so different to that in the UK – politeness and good manners are hugely important. The main difference is that the business etiquette is more formal, especially at the first meeting where the exchanging of the business card is an essential ritual. After you’ve been introduced and bowed, the business card ceremony begins, and you should be aware of the etiquette. Cards should be double sided to include both English and Japanese. Offer the card with the Japanese side facing upwards towards the recipient. Offering the card with both hands demonstrates greater respect. 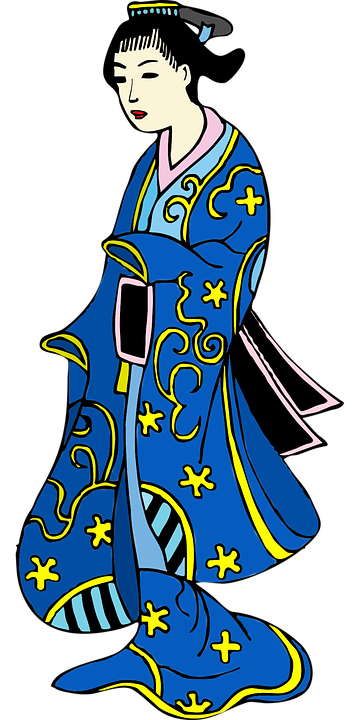 In a group of several Japanese people, cards will be offered to you in order of rank, with the highest ranking presenting their card last. You’re expected to take time to carefully read (and memorise!) all key information. Business cards in Japan should be considered an extension of the individual, not solely for use to find someone after you’ve met them. The card should be placed respectfully into a business card holder, not shoved into a pocket like a tissue and do take care not to damage or bend the card; this is considered to be a direct insult. Always play safe and dress formally for your meeting; it never hurts to be overdressed. You should display a conservative demeanour; it’s not common for Japanese business people to be brash and abrasive. This behaviour can result in a lack of trust and you might not be taken very seriously. Use black or blue ink when taking notes, not red. Wait for direction from your host as to where you should sit. Exceptional importance is placed upon seating in meetings and the position is determined by status. Usually, the highest ranking person will sit at the head of the table and the subordinates will sit on both sides of the table. The ranking will decrease the further down the table (away from the head of the table) you get. Don’t take the lead in the meeting when it comes to sitting, drinking or eating. Wait for others to initiate and you can then follow their lead. It’s important to show interest during the meeting and it’s acceptable to take notes or repeat participants’ ideas to clarify what has been said. This will keep you involved in the dialogue and shows an interest in what’s being said. Although not compulsory for a business meeting, gifts may be presented. If you are given a gift which is wrapped, the etiquette is to wait until after you have left the meeting before you open it. In Japan, the first name follows the family name. Most Japanese family names consist of 2 kanji (Chinese characters). The meanings of many of the kanji used in family names are related to nature, geographical features or locations (e.g. mountain, tree, rice field, island, bridge). Some of the most common Japanese family names are Sato, Suzuki, Takahashi and Tanaka. 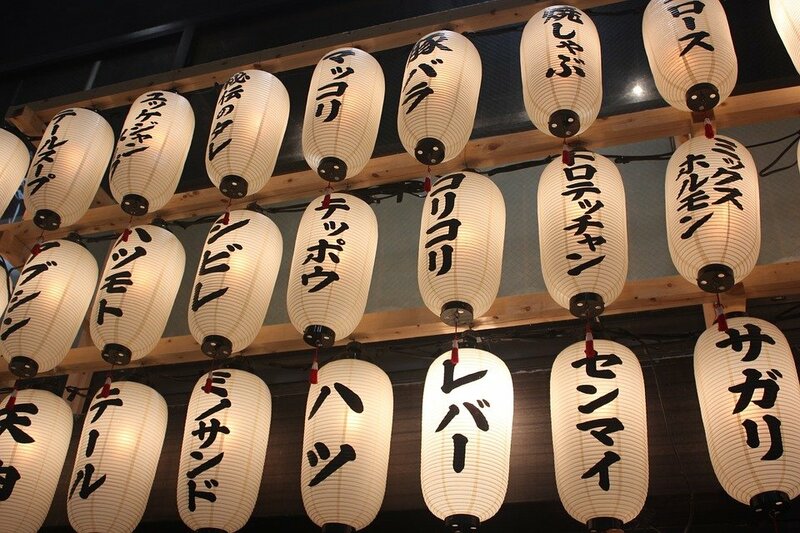 First names also usually consist of 2 kanji and the meanings are usually positive characteristics such as intelligence, beauty, love or light or names of flowers or seasons. This section will be particularly helpful if you are relocating to Japan and intend to work. Motivation – don’t publicly single out an individual for praise – Japanese people are not comfortable with this and it can also cause rifts in teams, upsetting the delicate balance. Short verbal feedback is usually given and greatly appreciated. It’s important to show that you notice what the employee has been doing. Ways of acknowledgement are asking them to help on high profile projects, invitations to important meetings, and even an invitation to share a meal together is accepted practice. The Japanese have a strong group orientation and it’s of utmost importance for them to feel part of a team and included in the group. Structuring work as team projects and rewarding people as a team is an effective management tool. Group social outings, team meetings etc. are all highly effective motivational tactics. As well as being part of a group, Japanese people want to feel that the group they belong to is a prestigious one. Any efforts to raise the public profile of your company will pay off with increased motivation. Many Japanese employees chose their employers being mindful that their friends and family will recognise the name of the company they work for. There are currently around 2 million expats living in Japan, with an estimated 75% of these being from neighboring Asian countries. There are many areas in Japan where you will find foreigners who are teaching, translating and working in IT-related roles. Trying to find work in Japan without a degree, visa, or skills in the Japanese language is virtually impossible. Citizenship – In the rare case of you actually being granted a Japanese citizenship, it would mean that you have to give up your current citizenship. Children born in Japan with dual citizenship aren’t legally forced to give up one or the other, but the Japanese government strongly advises them to do so. Japan is famous throughout the world for being expensive, and the cities of Tokyo and Osaka are believed to be the first and third most expensive cities in the world in which to live. Accommodation is probably the biggest expense you will have living in Japan. Electricity, gas and water are not very expensive and internet subscriptions are usually very fast for an affordable price. Formal contracts, such as rental agreements, are usually legalised with an inkan as opposed to a signature. An inkan is a seal that has the owner’s last name written in Japanese. Even foreigners will be expected to use inkans on contracts. You can purchase inkans from newsagents and stationary stores. If you intend to import a pet into Japan you are required to notify the Japanese Animal Quarantine Service at least 40 days prior to your arrival. There is no easy and fast way to learn Japanese, regardless of what the books and websites say; it’s a hard-earned skill and there are no two ways about it. You have to put a lot of time and effort into learning the language. It’s good to learn the basics from a native speaker and it’s more accessible for you to do this if you live in a smaller town where you can build relationships with the locals, rather than a largely populated city where everyone is constantly in a rush and is short of time. Having said that, you will need to dedicate most of your spare time to studying the language by reading books, watching films, learning from websites etc., unless you are able to enrol as a language student at a school or college. If you do business with Japan we can help with any Japanese translation services you may need – from business translation services through to legal and certified translations. If you would like more information and quotes please contact us.